Voyage en chanson (or “Journey through song”) takes us back to where cabaret was born: Montmartre, at the heart of the City of Lights. Many artists made the journey to live the life that Charles Aznavour portrayed so well in his song “La bohème”. They crossed the Atlantic Ocean like Cole Porter and Josephine Baker, and found new homes in the voices of Yves Montand and Dalida. All were inspired by the charms of Paris, but also by her indomitable popular spirit of resistance and pride. Even Noël Coward couldn’t resist writing about the city with his incomparable British wit in “There’s Always Something Fishy About the French”. Sharing a love of the french cabaret, four renowned New York cabaret performers, Karen Akers, Kathleen Landis, Steve Ross, and Jean Brassard, take you on a journey through songs by those who fell in love with Gay Paree in an evening featuring world-class performers at the top of their game. Conceived and directed by Jean Brassard. 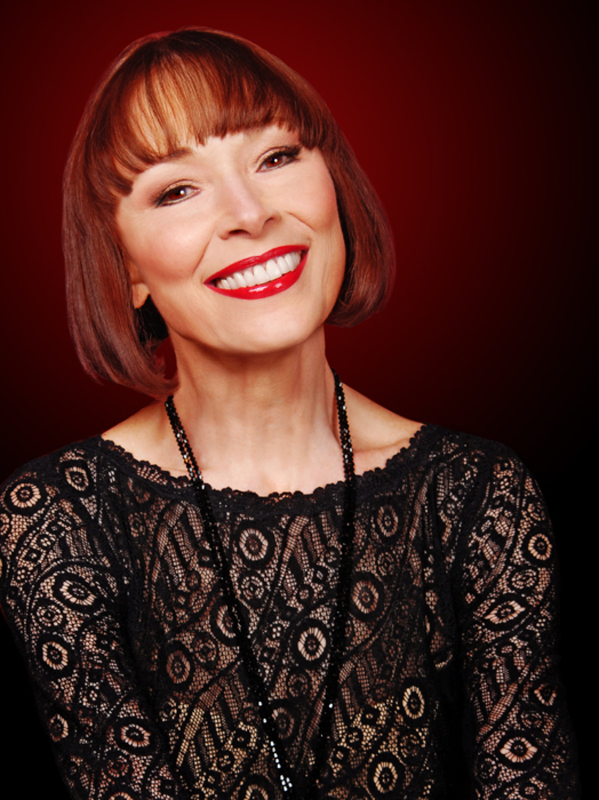 Karen Akers, one of America‘s most arresting and successful concert and cabaret stars, has performed throughout the United States, Europe, and the former Soviet Union. She has appeared in many prestigious venues worldwide from Carnegie Hall, the Hollywood Bowl, New York’s Oak Room at the Algonquin Hotel, and London’s Pizza on the Park. Her career also includes three performances at the White House. She appeared at the Martin Beck Theatre on Broadway as one of the original stars of the Tony Award-winning musical Grand Hotel, directed by Tommy Tune. She made her debut on the Great White Way in 1982 in Nine (also directed by Mr Tune), for which she won a Theatre World Award as well as a Tony Award nomination. Ms Akers has had two of her own PBS television specials: Presenting Karen Ackers and Karen Ackers: On Stage at Wolf Trap. The latter is available on home video. In addition to her own PBS specials, she has performed in PBS musical tributes to Ira Gershwin and Duke Ellington. Karen‘s film roles include the femme fatale in Mike Nichols’s Heartburn opposite Jack Nicholson and Meryl Streep. Steve Ross has been a fixture of the cabaret community in Manhattan for over forty years. He was born “forty-five minutes from Broadway” in New Rochelle, NY, and was raised in Washington, DC, with an opera-loving father and a mother who played the songs of Gershwin, Porter, and Irving Berlin on the piano. His first major job in New York was as a successful singer/pianist at the now famous piano bar Ted Hook’s Backstage. In 1981, he re-opened the legendary Oak Room at Manhattan’s famed Hotel Algonquin, where he held forth off and on for more than 15 years. He has appeared on Broadway in Noël Coward’s Present Laughter and off-Broadway in his tribute to Fred Astaire entitled I Won’t Dance. Internationally, he has performed in London, Paris, Tokyo, São Paulo, Rio de Janeiro, Melbourne, and Sydney, as well as in cabarets and theatres across America and on the high seas. He’s hosted programs on the BBC and American public radio, and was on the lecture/performance roster at the Metropolitan Museum of Art for eight years. His last show at the Algonquin, Puttin’ on the Ritz: The Songs of Fred Astaire, prompted Stephen Holden, of the New York Times, to describe Steve as “the personification of the bygone dream world that his music summons”. 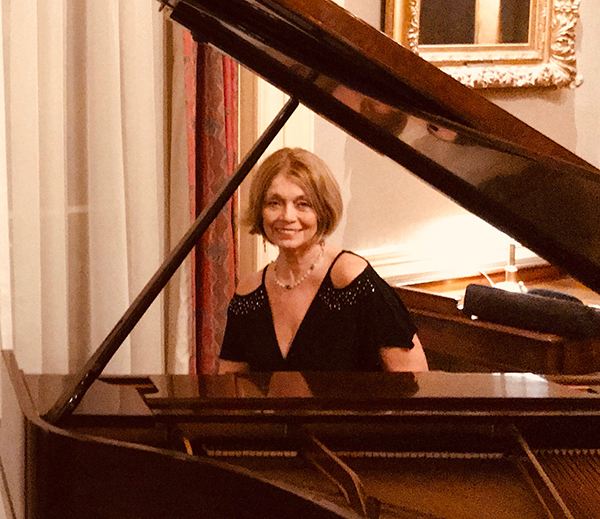 From Manhattan’s elegant Café Pierre and the Four Seasons Hotel to Carnegie Hall, pianist/vocalist Kathleen Landis continues to delight both longtime and new audiences with her extensive repertoire and interpretive musicianship. Kathleen combines her life-long study and performance of classical repertoire with her other musical side, jazz improvisation, curating her concert and club selections from that specialized repertoire as well as from the Great American Songbook. Kathleen ignites her music with a duality of expression and musical language, imbuing her performance surroundings with musical sophistication, diversity, and a warm, ingratiating presence that reliably draws a coterie of New York and international devotees. Kathleen has performed in many other major New York venues, including Steinway Hall, Radio City Music Hall, the Oak Room of the Algonquin Hotel, Caramoor, the Tilles Center, and the Richard Rodgers Theatre. In preparation for the release of her debut CD, Gershwin Island to Island, she produced a series of concerts at Weill Recital Hall and the Village Gate to highlight the Centennial of his birth. That highly acclaimed recording showcases her skill as an arranger, pianist, and singer. A musical crossover herself, she presents Gershwin’s music with refreshing verve and illuminates the multi-faceted aspects of Gershwin’s compositions: symphonic, theatrical, and improvisational. In 2010, Kathleen opened a new jazz room, Lily’s, in New York’s Roger Smith Hotel with her trio, featuring tenor saxophonist Bob Kindred. She also joined violinist Sarah Geller‘s newly formed group Segue, a string and dance ensemble that combines flamenco, classical Spanish, and Argentine tango musical forms. For this group, Kathleen arranges both traditional tango and the music of Astor Piazzolla. Their sold-out concert at Lincoln Center’s Bruno Walter Auditorium on May 1st, featured acclaimed tango dancers Leonardo and Olga Suarez Paz. Later in 2011, she performed a special cabaret performance, A Tribute to Johnny Mathis, with vocalist Frank Dain, in New York City’s most intimate cabaret spot, the Metropolitan Room. In addition to a rigorous performance schedule, she is a much sought-after, Steinway-recommended private teacher and music educator. She lectures on the joy of improvising and developing one’s musical intuition. Her students range from age three to 82 years. More recently, Kathleen was the recipient of a grant that will enable her to compose chamber ensemble compositions influenced by improvisation and modern nuevo tango. 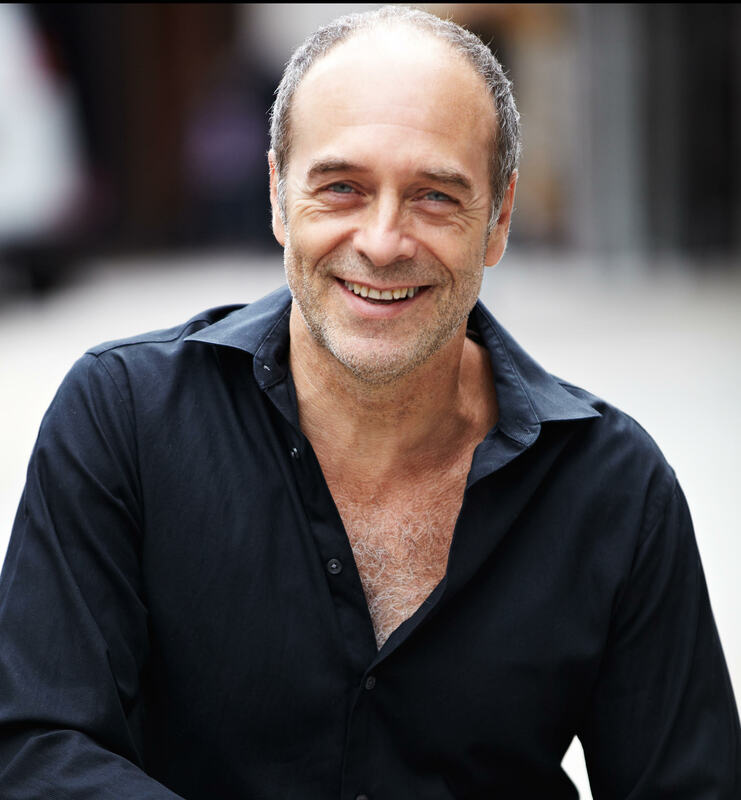 Jean Brassard is a Bistro and Aggie Award recipient for his tribute show “The Kid From Paris: Jean Brassard Sings Yves Montand”, for which he also garnered a MAC nomination. Co-written with and directed by David Krueger, the show has traveled in the States, Canada, and Europe. 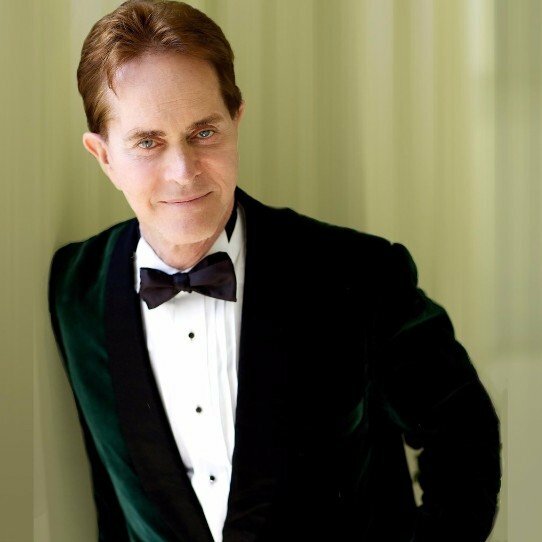 In New York, he has performed at the Laurie Beechman Theater, the Metropolitan Room, the Triad, Helen’s Hideaway, the Café at the Pierre Hotel, and as a guest of Steve Ross at the Metropolitan Museum and Birdland. With the group Kabarett Kollektif, Jean was also awarded a NightLife Award. He was seen at Symphony Space’s Wall to Wall Cabaret alongside Ute Lemper and many cabaret greats. Last year, he represented Quebec at the first Manhattan International Cabaret Festival. After his Le Gamin de Paris CD, his second album — the first of his own compositions — Dix has been praised by the press. Jean can currently be seen on Showtime’s Escape at Dannemora, directed by Ben Stiller, as well as Season 2 of The Marvelous Mrs Maisel. Upcoming this spring, he will appear in Hulu’s new show Ramy and in Lydia Dean Pilcher’s WWII movie Miss Atkin’s Army. He was also recently featured in Person of Interest and HBO’s The Wizard of Lies (opposite Michelle Pfeiffer). He can be seen in Josh Boone’s box office hit The Fault In Our Stars, which is based on John Green’s highly acclaimed novel of the same name. Other movies include The Caller, Death in Love, Ten Stories Tall, Mango Bajito, and JC Khoury’s romantic cult comedy The Pill. He is also well known to French-speaking wrestling fans around the world for commentating on the WWE for the WWE Network. He received critical praise this year from the New York Times, among others, for his role as Ambassador in Film Chinois at the Pan Asian Rep and in Theater Pizzaz in The Lears. His voiceover career spans over two decades in US, Canadian, and European markets, voicing hundreds of projects for commercials, documentaries, and more. Jean is also the narrator of more than 50 titles for Audible.com, Hachette, and others. Along with the cast of Muriel Barbery’s Gourmet Rhapsody, he was honored by AudioFile Magazine with an Earphones Award for excellence in audiobooks.